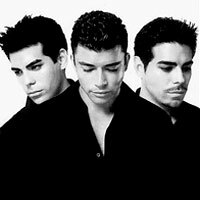 No Mercy is a pop and dance music group formed by Frank Farian in Florida in 1995, consisting of twin brothers Ariel and Gabriel Hernández, from Miami, FL and Marty Cintron III from New York City. In 1996, No Mercy released their debut album titled My Promise and produced two Hot 100 Top 40 hits, including "Where Do You Go" (a cover of La Bouche's "Where Do You Go"), which hit number 5. This was followed by the single "Please Don't Go" which reached number 21. In early 1997, No Mercy released a romantic ballad titled "When I Die", from the same album. Their remake of the band Exile's #1 song from 1978, "Kiss You All Over", also became a number 1 hit on the Hot Dance Music/Club Play chart in 1998. No Mercy's second album, More, included singles such as "Hello How Are You", "More Than A Feeling" (originally recorded by Boston) and "Tu Amor" (originally by Jon B., and later covered also by RBD) also achieved success. In 2002, a single, "Don't Let Me Be Misunderstood", was released to gauge support for No Mercy's third album. The producer decided to instead rework the songs for solo artist Daniel Lopes' debut album, Shine On, in 2003. The band would guest feature in that album, on the track "Summer Angel". In October 2007, No Mercy released their third album, Day By Day, under a new Australian-based independent record label, Show No Mercy Entertainment Pty Ltd, and via iTunes.